Merry Christmas! You all know I love Christmas Carol. On my movie blog and youtube channel I gave my top 10 Christmas Carol movies. Just thought I would share it with you. Merry Christmas Eve you guys! I thought I would share with you all my top 10 favorite versions of Christmas Carol. Of course if you followed Scrooge Month last year you know I love Christmas Carol. It’s one of my favorite books and it’s hard to make a version I dislike (although not impossible. I’m talking to you Ghost of Girlfriends Past). Have you ever seen “We’re No Angels” (1955)? 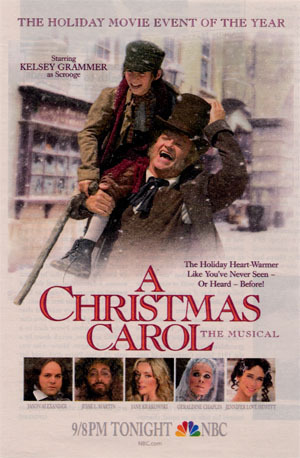 It’s a Christmas comedy that takes the fundamental characters of “A Christmas Carol” (the Ghosts, the Cratchits, Scrooge and his nephew Fred) and completely reinterprets them in unusual ways. Humphrey Bogart stars in one of his few comedy roles, supported by Peter Ustinov, Aldo Ray, Basil Rathbone, and Leo G. Carroll.